Today is Feature Day over at Your Next Stamp and this months theme for the DT is Furry Friends. There are so many super cute furry friends in the YNS Store that it was a little hard to pick which one you wanted to use. 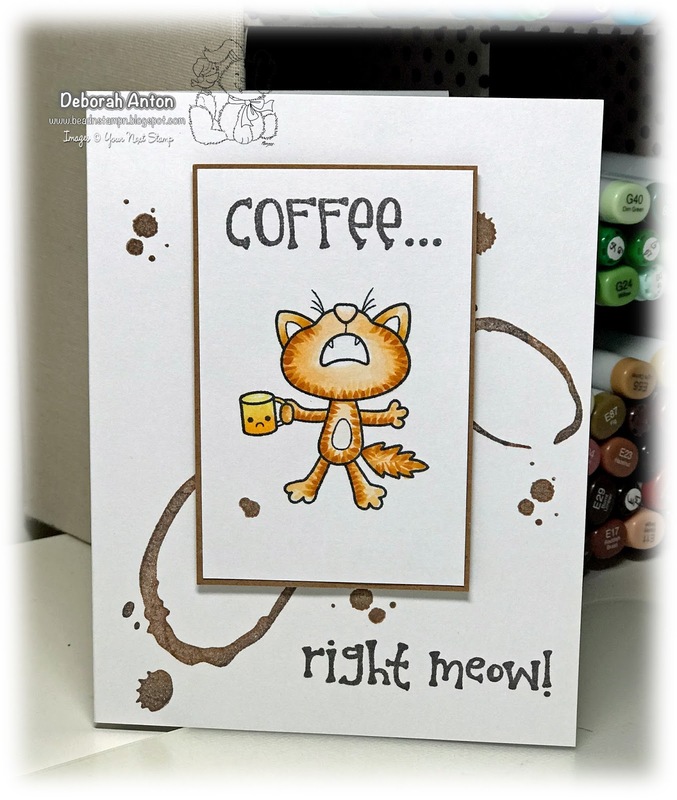 But I settled on the fun set of Coffee...Right Meow! This is one of my favorite sets with perfect sentiments for the coffee lover. To create the background, I used the Coffee Rings set before stamping the image coloring it in with Copics. Once that was complete, I popped it up over the card base and finished it with the sentiments and coffee "drips." Be sure to stop by the YNS Blog to see all the fun creations the DT have made and don't forget to leave a little love. A random comment will be picked to win a stamp set of their choice!Thanks for stopping by and hope you have a great day! Hahaha your card made me laugh!! So creative, and super adorable :) Love it! !